Proceed and precede sound almost alike, but their meanings are different. Proceed is a verb meaning to move forward or continue an action. 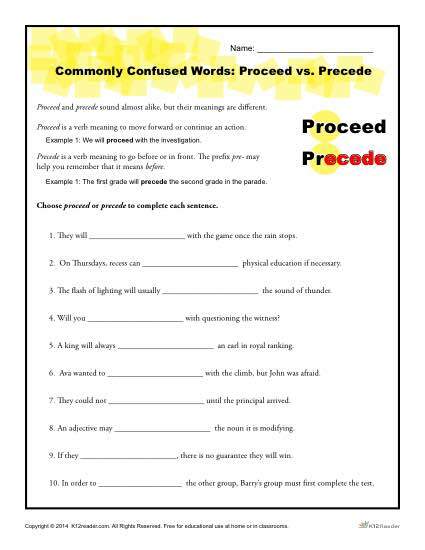 Precede is a verb meaning to go before or in front. The prefix pre- may help you remember that it means before. Choose personal or personnel to complete each sentence in a free printable worksheet designed with common core standards in mind.